​A GUIDE TO SIMPLIFY LIFE, FIND JOY + BE WELL. ​Are you tired and frustrated from searching for the perfect alternative healthcare provider, chiropractor or massage therapist? Do you intend to eat a healthy lunch each day, but end up with a latte and granola bar? Or worse, Taco Bell? Are you interested in buying or growing organic foods? Would you prefer to use natural skincare and natural cleaning products in your home? LET'S TACKLE THOSE BUMPS IN THE ROAD! A GUIDE TO SIMPLIFY LIFE, FIND JOY + BE WELL. Do you already love, or have you ever considered trying out. . .
We grow real food, naturally, the old-fashioned way. We have experienced great change in our health once we made this effort. We even make our own compost! You can, too! Another passion of ours is East County Chiropractic. ECC is our chiropractic & massage practice and Dr. Trevor Clark will even make house calls throughout SW Washington! Undiluted, effective and beautiful. We partner with Pure Haven Essentials, our favorite 100% natural, organic & non-toxic skin, body and home care line. They offer the absolute safest collection of products available on the market. Eat delicious organic vegetables, fruits and herbs from your own garden efforts. Effective and beautiful skin, body and home care products. Heal your body. Protect your home. Auto accident injury and more. . .
LIFE IS NOT A RACE FOR PERFECT HEALTH. IT'S OUR GOAL TO MAKE IT EASIER TO DO THE BEST YOU CAN. To make sure you get up to the minute news on farmer's market schedules, fun video tutorials + new blog posts subscribe to email updates. 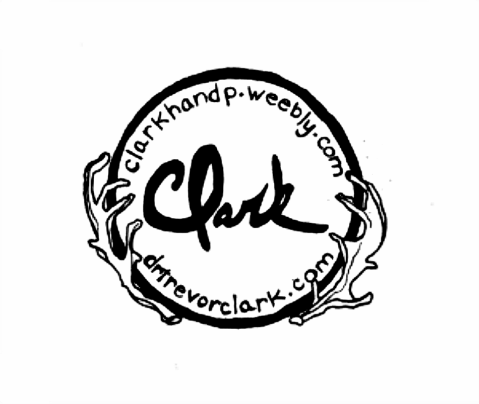 subscribing gets you all the juicy Clark H&p insights we only share in email! Sign Up + Get it!